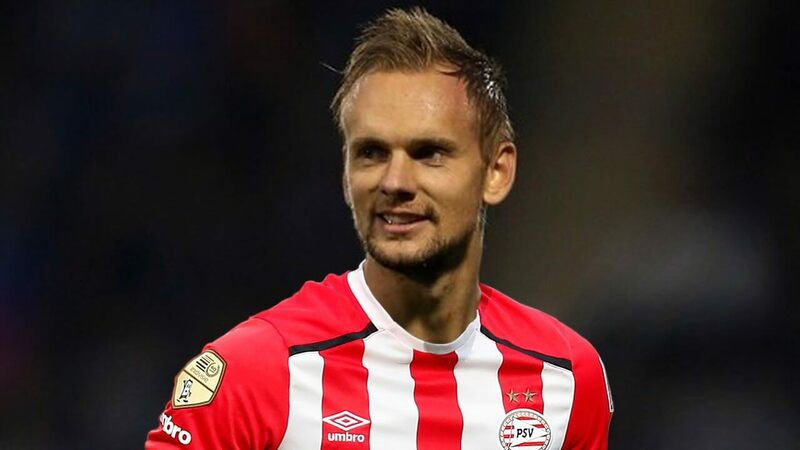 We don’t know whether Siem de Jong, who was on loan last season at PSV, still has a career at Newcastle but how he plays in preseason will go a long way to answering that question. We hope Siem can come through because he’s a good technical player who could do a job for us in the Premier league next season. But his younger brother Luuk found it difficult at Newcastle and Siem has not found it easy since signing on for us three years ago from Ajax for £6M, where he was the captain. But of course he’s also been hit with lots of injuries although he was fairly injury free last season while on loan at PSV. Siem did quite well at PSV where his brother now plays – and he scored 6 goals in 23 total appearances and helped PSV to 3rd place in the Eredivisie with 76 points, 6 points behind the Champions Feyenoord. His brother Luuk had a poor time of it last season scoring only 9 goals in 37 appearances, after he had scored a massive 32 goals in 43 appearances the season before. The two brothers scored about on goal in every four appearances last season for PSV. PSV did not want to sign Siem at the end of the season and if he doesn’t make it into the Newcastle first team squad for next season (we hope he does) – then he will probably be loaned out again for next season. Siem has played 26 times with two goals for Newcastle and his contract at the club still has a full three years to run. 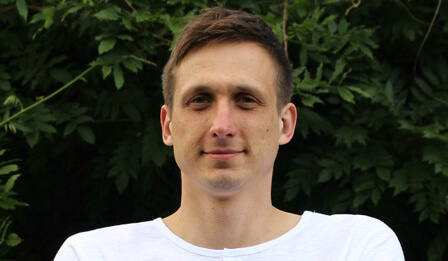 One of our readers Alex Wannop is completing in the GN 10K next Sunday and also the GN Run to collect funds for Tiny Lives, because the Trust provided lifesaving care for his son Isaac, when he was born by C-section and in some distress. The Tiny Lives Trust funds the Special Care Baby Unit at the RVI where Alex’s son Isaac spent the first few weeks of his life. Alex is appreciative of the work the great doctors and nurses did to save his son’s life and that’s why he’s raising money. Please support this very worthwhile charity on Alex’s Just Giving page where there are pictures of his son Isaac – thanks. Good attitude by sdj….lets just hope hes physically up 2 it. SDJ stay, give him a chance please. He just had the worst luck. My instinct tells me we should get rid and count our losses. He looks too slow and injury prone to ever make it in the EPL but then again I believe he is a huge step up from Diame who is hopeless, so we could use him accordingly this season and he could still make it. expat – evening/afternoon. How’s things. Diame,for me didn’t work as a number ten…he was a battering ram,but lacked skill and vision,cant knock the lad to much as he was mostly fit and available to play and helped with promotion but if we could have a season long ,fit and in form sdj or diame….it would be sdj….but thats a huge if with regards to fitness on sdj. I’m excited to see what SJD and Rolando Aarons can do this season. I’ve always rated them both and if they can just stay injury free (a big “if” I know), I think they could both be very good. Siem de Jong is already injured with a bruised nose and a twisted ankle. He slipped on a wet floor in the changing rooms and twisted his ankle. Whilst earlier outside he stood on a rake one of the groundsmen had left out – it sprung up and hit him in the face. Agree with u there,rolando must be on the same sort of high wire as sdj,he cant have many more chances left here if he keeps breaking down….good luck to both….it will only benefit the club and us fans if they do have some decent luck injury wise. Good job that’s there’s no workman carrying planks at Longbenton. They both have the tools, drive and attitude, its whether they have the fitness, both could be great players for us this season and help us to a decent season …….but they could just as easily break down at any time . A fit Siem is really like a new signing for us. He could have a big influence on our season if ( it’s a big one) he can maintain his fitness. Yedlin, lascelles,lejeune,shelvey…thats all out of them at the minute….maybe hayden as well for me,but there is talk of more midfielders comin in. Aarons is still only 22 so there hope for him. As for Diame who has the mighty leaping ability of an elephant, I suspect he will not get many starts so it might be kind to sell him to a championship club. Yeah that’s about right mate. I’d probably throw Gayle in there to. I wonder if Hull would take him back in a swap+cash deal for Grosizki. There’s probably no chance of him staying injury free. There’s no clubs in Holland that will be able to match his salary either. So we’ll probably have to subsidise his wages with another loan deal again if we want rid of him. Not convinced gayle or ritchie will be playing as much this season….if we get players in,coyld be wrong about ritchie,but the way we are lookin for strikers makes me think gayle wont be the main man up front this season,just my opinion….but we need to spend the money wisely and build steadily but not to slowly….as players and the management wont want to lose the momentum thats there at the minute. Essex – yes please. We need him out and Grosicki in. As for sdj – he is immobile. The continent suits him. This league is about pace and power. He has some quality but without the rest he’s not good enough sorry. Would you sell players like Mitro,Perez,Mbemba if the right price came along. I still think this fella can have a career with Newcastle. I posted a few weeks ago when in Florida I was chatting with a PSV fan who thought he was one of their top three players last season and the fans wanted to keep him. The fact the bloke wanted to come back speaks of his character and if he stays fit he will get 10 goals next season. He is the master at coming in at the back post late. But if he can’t muster it we need to draw a line and wish him well. Theres no way Rafa is dropping Ritchie. He was by far our best player all round last season imo and definately prem standard. Seems to love a big game aswell. I think Gayle could surprise a few aswell, was never given a real crack at Palace but still managed to score some big goals. The quality we lack all over the park or competition for places is huge. If shelvey, Ritchie got injured we would be down 100%. We need understudies to them so we still have creativity and wing wizardry in the side. Teams are shoring up their already balanced sides. We are literally building a side with the under belly in place but not the first xi. I think to stay up we are about 6 players short, to be competitive we are 8 players and 3 or 4 squad players. From earlier, sorry I had to go, I like Ritchie a lot. But he is only 1 winger and the other flank, as well as depth on the right, looks pretty bare. Wwsbrd brought up the Murphy brothers from Norwich, I mentioned them on here 3 years ago as upcoming talent, and so far they have progressed and developed accordingly. I’d be happy with either of them, delighted with both but neither would be cheap, and I think it would have to be a very big offer or the players force the clubs hand. The gamble would be age and inexperience, so we’d have to balance it out with some older heads. Thats a tough one….i do like them all,but they are inconsistent at times…mitro doesn’t look like he’s goin to score enough and his lack of pace is not good for the premier,he is very young and seemed willing to stay and learn,mbemba for me was our best defender in the premier when we were there last,but i dont tbink rafa rates him….if we could get 25m+ plus for them then it myt be best all round to let them go,perez i would keep but needs to work on strength,he has goal scorers instinct and has vision for a pass and we need creativity…..haha….but u could ask me on another day and i may say keep mitro and sell perez….its a tough,tight call mate. Offer Hull Diame+cash for Roberston, that would be lb sorted! Im often out for our televised matches in the guide and was regular on a sat afternoon before the matches got knocked on the heed,always canny banter tho…was in at the weekend,and was lively again. I suppose Rafa will be using pre-season to see how Diamé and SDJ fare. I’d keep Perez, who was improving at the end of season. PS I grew up in Gateshead 10! Wow Everton are looking really strong. Potential top 4 for them next season. Klassen, Sandro and Keane are really good buys. Onyekuru looked really good aswell.